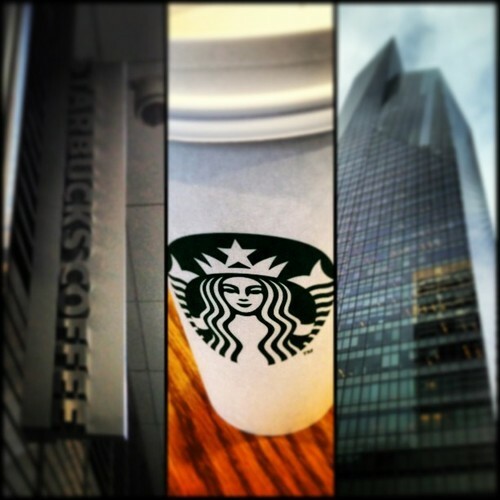 I labeled this location the Starbucks on 43rd & Madison, but from standing on that cross-street you would never know there was a Starbucks inside the towering office building at 335 Madison. You would see the one across the street and probably go there instead. I almost did just that. 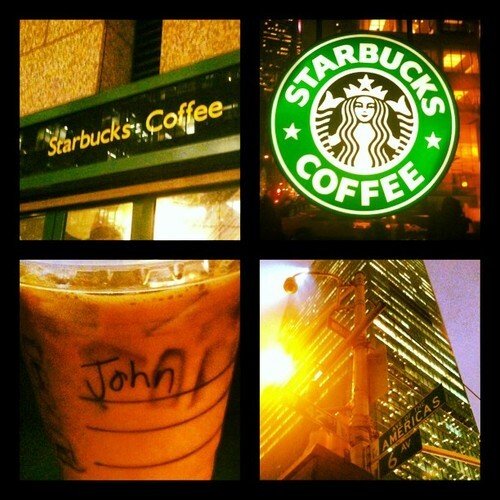 Then I called this Starbucks’ number (thank Starbucks app!) 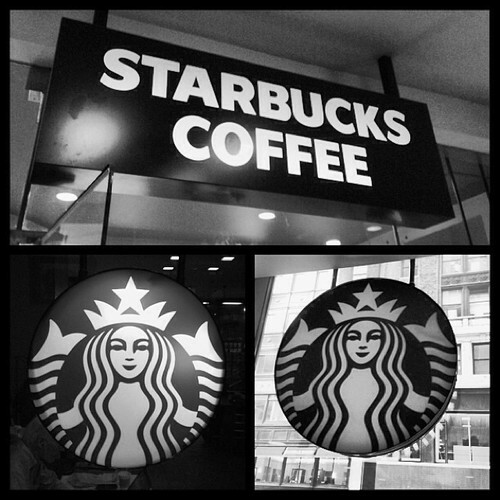 and found out this Starbucks is deep inside the building. Essentially, unless you work here or are actively seeking this location, you’d never find it. 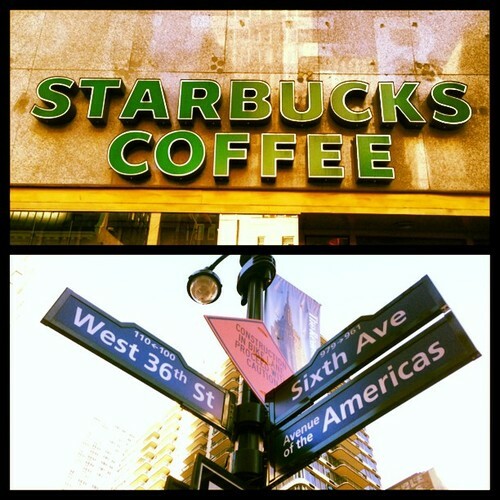 At first I thought this was a disadvantage to this Starbucks. But after sitting here a while, I began to reconsider. There’s no tourists. No families. No crowds of teenagers or random homeless people. There’s just business men and a few other scattered people who come here for a calm environment. I even saw an interview take place at the table across from me. Now I feel like I’ve been let in on a secret. 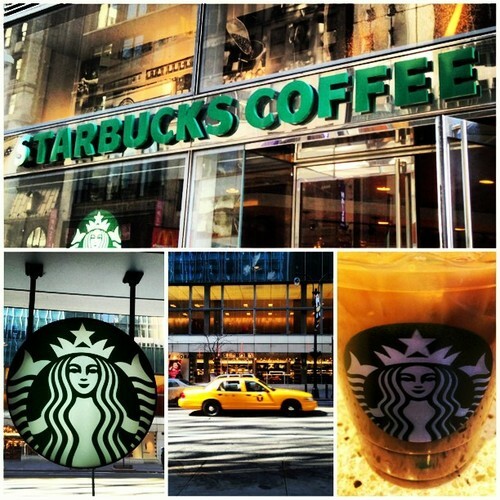 This is New York City’s hidden Starbucks, and I just thought you should know. In an effort to combat my self-absorbed style of blogging (see blog entry below), I’ve decided to make a change. 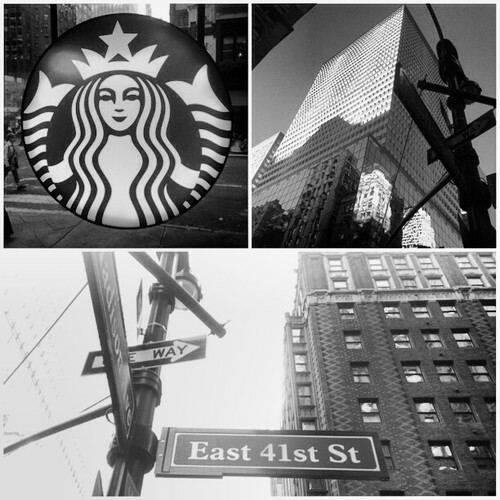 Each time I visit a Starbucks — before I put any effort into writing a post of my own — I will take the time to read some recent entries from other bloggers. I will also start actively looking for some great new blogs to read — and would love some suggestions! There’s just so much out there. I tend to get wrapped up in my own thoughts and ambitions, when really what I’m doing is depriving myself from the thing that inspires me in the first place: reading. Time was I would go to Starbucks solely to read. I’d read up on Astrology, read fiction, or even just a study guide for the GRE. Now, I go to write about this and write about that. But if one stops reading, eventually they will run out of topics to comment on themselves. Also I pledge to tweet more than just pictures of Starbucks! But that’s another issue all in itself. 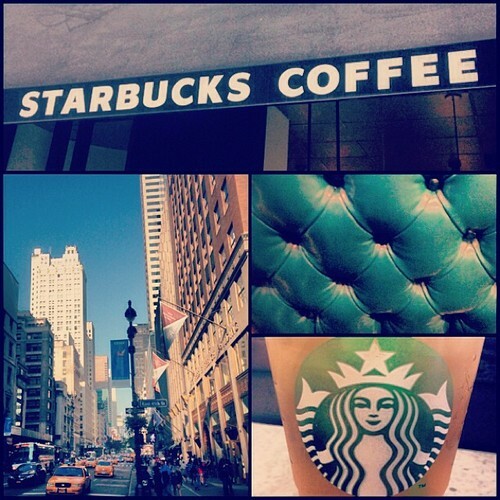 So what can I say about the Starbucks on the corner of 41st and Madison Ave? It’s small. It’s very crowded. People would rather stay in here, drink their coffee, and stand then take it to go. It’s design confuses the amateur patron when looking for where the line begins — which I’m sure isn’t fun for the baristas. Also, this Starbucks is almost discrete. It has the Starbucks logo in the windows but no signing on the exterior walls of the building. Perhaps it would draw even more of a crowd, which probably wouldn’t be a good thing. 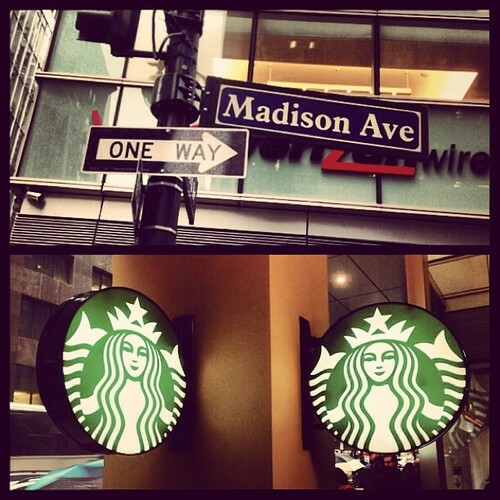 Let me preface this post by saying that this Starbucks is actually between Madison and Park on 42nd Street; however, for clarity’s sake I named it after the cross-street I felt it was closer to. And there you have it. It all makes sense now. Since most Starbucks probably are capable of seating between 20-30 patrons, the one-unisex restroom makes perfect sense. Whereas a Starbucks of the same size in Florida would most definitely have two gender specific restrooms — and that’s because of the differing city codes. Space is of great value here in NYC, so why waste space on one or two bathrooms when you don’t need to. This Starbucks has only 7 seats, so despite the fact that they are in a highly trafficked and see many patrons, they are well below the city code for a restroom requirement. Keep that in mind the next time you walk into a Starbucks, small deli, or cafe. Do a quick seat count before complaining that they need to have a restroom. Maybe they do — maybe they don’t.